Alright, tell me about Optimizely. 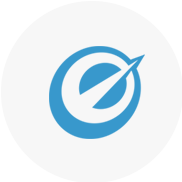 Optimizely is a powerful suite of tools designed specifically to help web developers with A/B and Multivariate Testing. Are there other suites out there? Because of the success some of the bigger sites out there have had with this kind of testing it’s gotten pretty popular. It’s a competitive field and there are lots of great options out there, we just think Optimizely is the best. Lots of reasons. First and foremost they make it easy to quickly set up experiments on the fly and give us the tools to drill deep into the resulting data, but there are other advantages. There are minimal compatibility issues with the various web development platforms. It integrates easily with the main analytics services. It doesn’t add noticeable latency to sites that use it. It scales well with heavy traffic. The list goes on. Be honest, are you guys secretly best buddies or something? Nope, we just think they’ve got the best software for the job. We use Magento as our web development platform and they have an extension that makes integrating the two painless, so there’s that, too. Can I take a peek under the hood? Some of the upfront features of Optimizely are designed to be pretty user friendly which makes collaborating with our clients easier. If you want to go into the system to drag and drop stuff around just to see what those changes would look like and leave the more technical stuff to us, you can. If you’d rather leave everything to us, that’s fine too. Okay, so to recap: A/B and Multivariate testing helps optimize conversions for sites at every scale. Interpreting the data for these tests can be complicated, but tools like Optimizely make it viable for my business.